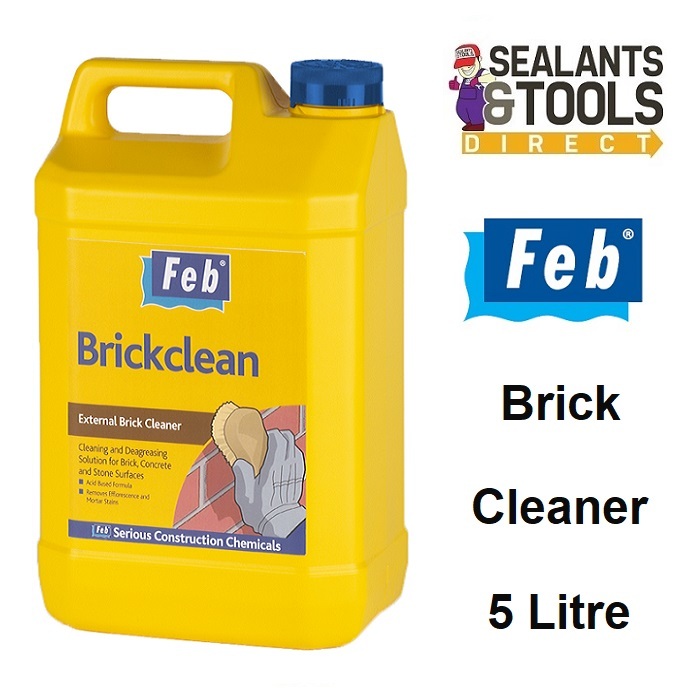 Feb Brickclean is a fast acting acid based Brick Clean cleaner solution which dissolves mortar and cement stains, ingrained dirt and most paints on mineral surfaces such as brick, stone, concrete, paving slabs and earthenware. Acid based - powerful cleaning action. Cleans stains from brickwork, natural stone, concrete earthenware etc. Cleans garage and factory floors. Suitable for etching of concrete surfaces as preparation for epoxy resin screeds and toppings etc.